Rolex holds a special place in the world of high-end mechanical watches. It’s the most valuable luxury watch brand in the world. Rolex is also one of the most expensive watch brands. The Swiss manufacturer produces iconic models that have become a true status symbol. Owning a contemporary Rolex day-date or a vintage Submariner, for example, tells a lot about who you are and what you’ve accomplished in your life. What makes Rolex so special? The quality of its designs. The rarity of its materials. And, most importantly, its impeccable production process that guarantees precise and accurate performances. All these fundamentals play an important role in Rolex’s prestige. But there is much more to the brand. Other watch manufacturers, such as Patek Philippe and Audemars Piguet are equally apt at producing sublime watches. Rolex, however, has a rich and varied history of innovation and leadership in watchmaking. Rolex watches have also been worn by global personalities from the worlds of sports, cinema, politics and business. Paul Newman, Steve McQueen, Elle Macpherson, Winston Churchill, Dr Martin Luther King, Che Guevara, John F Kennedy and Victoria Beckham are just some of the most popular Rolex owners. To help you navigate the world of Rolex watches and understand the role that each of their models plays into the brand, we’re looking today at the 25 most expensive Rolex watches of 2019. Some of the most expensive models are historical pieces that took value thanks to their rarity or the fame of their previous owners. Others are contemporary pieces that you can purchase right now by just walking in a Rolex boutique. Their prices range from $13,337 to $17.8 million. The Rolex Pearlmaster is the most expensive model range in the current collection with prices starting from $87,000. The Paul Newman Daytona is the single most expensive Rolex ever sold. It was purchased for $17.8 million during an auction in October 2017. Here is a list of top fifteen most expensive Rolex watches in the world in 2019. You can jump to any particular model using the table below. We’re starting our list with the least expensive Rolex watches. Those are contemporary models that you can buy today. As we go down in the list, you’ll discover unique historical models that only go on sale through private auctions. They were often the properties of celebrities and influential people or produced in unique materials. The classic Rolex Submariner starts our list with the date model of the watch. First launched in 1953, the Submariner was the first wristwatch that divers could take to a depth of 100 metres (330 feet). Made popular by the original James Bond movies, although without the date and on a NATO strap, the Rolex Submariner is now one of the brand’s most popular models. 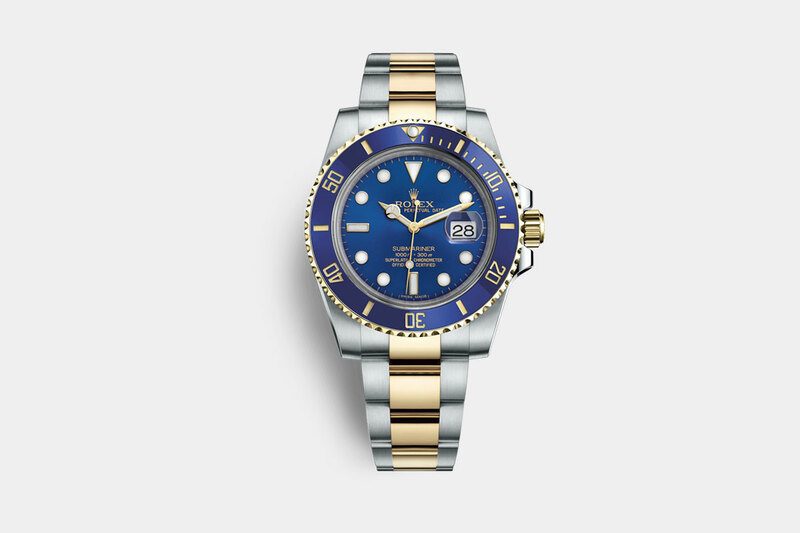 Prices for current Rolex Submariner line start from $13,337 and vary based on the material that you choose. Stainless steel, yellow gold and white gold are available. You don’t see many Rolex Sky-Dweller models around. The self-winding watch was originally designed for pilots and frequent travellers to keep track of two time zones at the same time on the dial. Wearer of the watch can set the local time on the main dial with traditional hour, minute, and second hands. An additional smaller dial off-centred can be adjusted to keep track of a second time zone. That second dial provides a 24 hours display to easily distinguish day-time from night-time. Prices for the Rolex Sky-Dweller start from $14,275. You can choose from a combination of white gold, yellow gold and rose gold materials. The mesmerising Rolex Daytona dial was introduced in 1963 to celebrate the high‑performance world of professional race car driving. The model rapidly gained popularity among movie stars and the grand public at large. The Cosmograph Daytona defined an entire watch category among sport chronographs. Its dial has become an icon often celebrated and reproduced by other watch brands. Two small pushers on the right-hand side of the watch allow the wearer to activate the chronograph function. The pushers can be screwed down to guarantee waterproofness to 100 meters (330 feet). 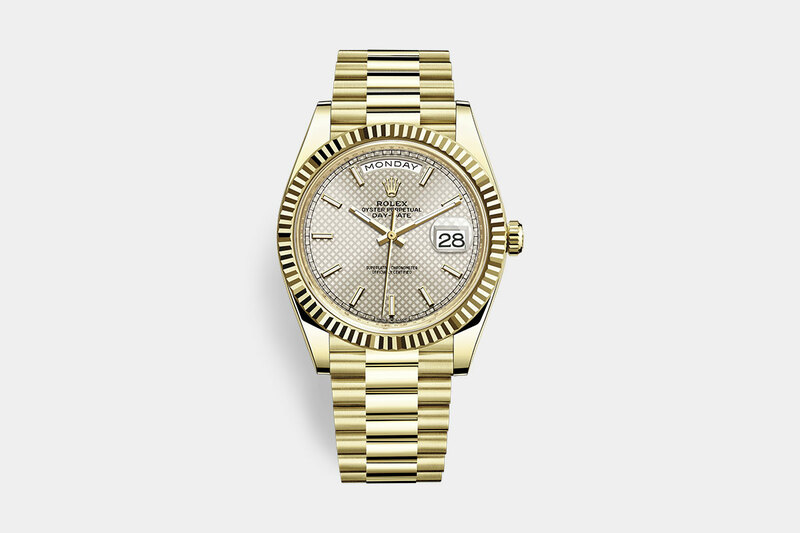 The elegant Rolex Datejust was first introduced in 1945 to celebrate the company’s 40th anniversary. It has now become a predominant watch for business people around the world. The watch is so versatile that it can be worn both as part of a business casual or business professional outfit. It comes with a large selection of bracelets, dials, materials, and the option to have precious stones on the dial. 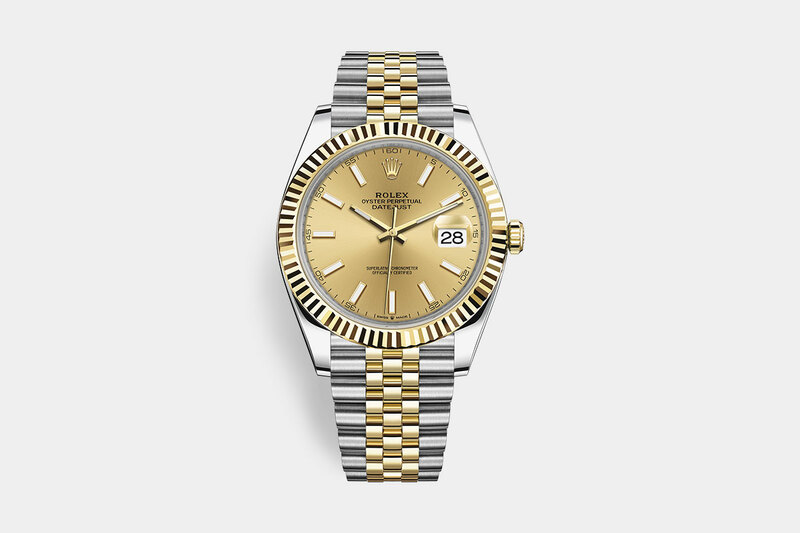 The Datejust is available in sizes ranging from 31mm to 34mm, 36mm and 41mm. There is also a special 28mm Lady-Datejust. The watch is available in stainless steel, white gold, yellow gold, and rose gold. 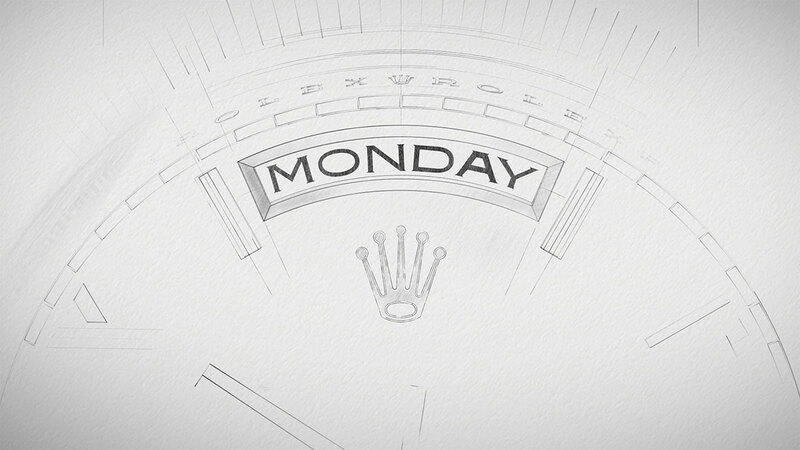 The Rolex Day-Date is arguably the pinnacle of status symbol. It’s one of the most expensive watches in Rolex’s current collection and was worn by countless leaders and heads of State across the world. The Day-Date first launched in 1956 as the first waterproof and self-winding chronometer wristwatch to offer a calendar with a day display in addition to the date. It was also the first watch to introduce the jubilee Rolex bracelet (sometimes called the President bracelet) that offers exceptional wear comfort on the wrist. The 2019 Day-Date comes with the calibre 3255 movement that offers superb reliability and performance in a case that is perfectly suitable to wear with a suit or formal attire. Price for the Day-Date starts from $34,500. 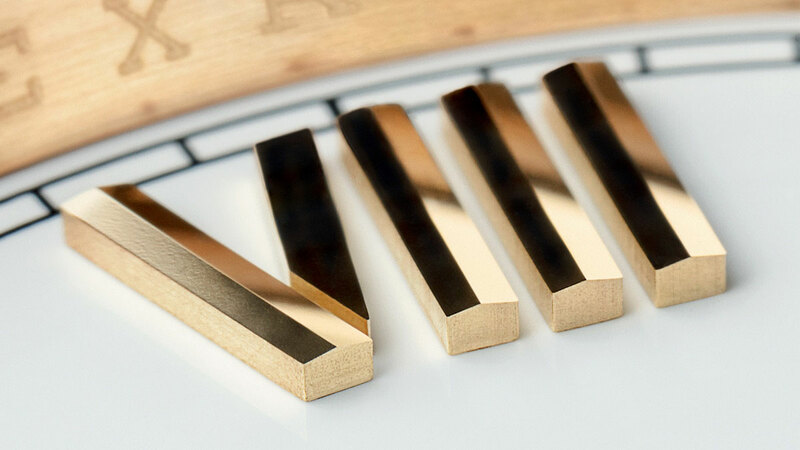 The dial is available in 36mm and 40mm and comes in yellow gold, white gold, rose gold or platinum. The Rolex Pearlmaster tops our list of the most expensive Rolexes that you can buy today. Price starts from $87,000 but mostly depend on diamonds’ market price at the time of your purchase. The watch comes in 34mm and 39mm cases and is exclusively available in yellow gold, white gold and rose gold (called Everose). 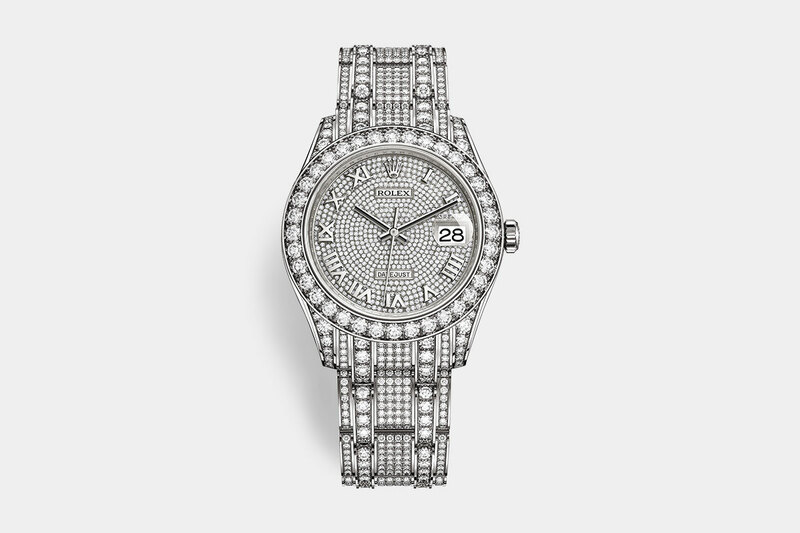 The watch is a high-end customised version of the Rolex Datejust with finely carved diamonds and precious gems. Rolex had to develop high-end techniques to precisely align the height, orientation, and position of each stone on the dial. The Pearlmaster comes with three bracelet options, two of which include gemstones on the bracelet themselves. The watch is also waterproof up to 100 meters (330 feet) and has a 48 hours power reserve. From here on, every other Rolex watch on our list except the GMT Master II Ice is a unique piece that was sold through a public or private auction. While you might be able to purchase one of them if they come back on the market in the future, they are not currently up for sale. Steve McQueen’s 1967 Rolex Submariner is the ninth most expensive Rolex ever sold. You could argue that Steve McQueen’s 1967 Rolex Submariner started the modern craving for vintage Rolex watches. The watch is the first in our list to be sold for a high price at an auction in 2009. Organised by Antiquorum, the auction closed at $234,000, which was the highest price ever paid for a vintage Rolex at the time. 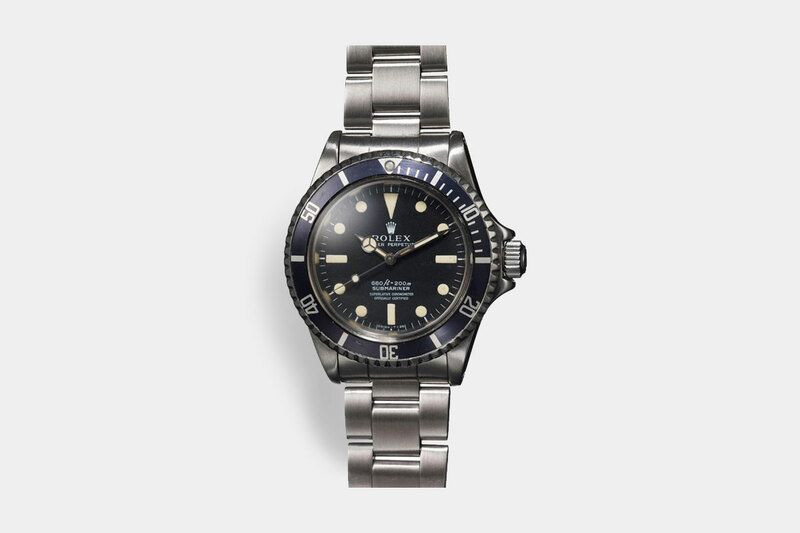 The watch itself is a classic Rolex Submariner from 1967. What makes it special, however, is that it was once owned by Steve McQueen. The legendary actor dubbed “The Kind of Cool” was known in the 60s and 70s for being one of the highest paid actors in Hollywood. His Rolex Submariner kept that reputation intact. The value of the Steve McQueen Submariner has surely increased over the past 10 years. A second Steve McQueen Submariner was meant to go on sale in December 2018 but the auction was cancelled at the last minute due to a dispute with the McQueen Estate. You can read all about it here and here. 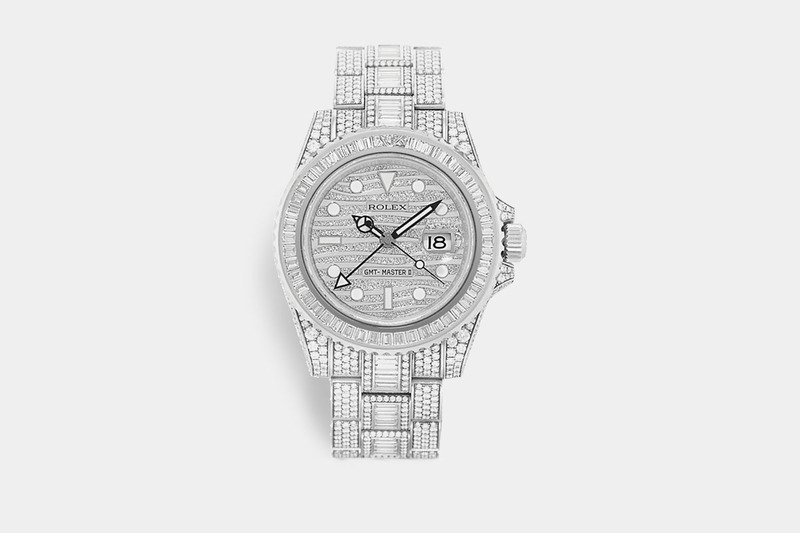 The Rolex Platinum Diamond Pearlmaster is the eighth most expensive Rolex ever sold. Photo by Sant Blanc. Unlike its modern sibling, the Rolex Platinum Diamond Pearlmaster is based on the Day-Date collection instead of the Datejust. The limited-edition watch is made from meteorite diamond and counts 42 diamonds on its custom bezel. The 39mm dial watch was first released in 2011 for $277,850. Roger Moore’s 1972 Rolex Submariner is the seventh most expensive Rolex watch sold in auction. Photo by Phillips. Yet another Submariner in our list of the most expensive Rolex watches ever sold. This one is the actual watch worn by Sir Roger Moore while playing James Bond in Live and Let Die in 1973. The watch was sold for $365,000 at a Phillips auction in Geneva in 2015. The watch was modified for the movie. In particular, the bezel was changed to look like a circular saw. It is used by James Bond in the movie to cut a rope. The watch’s “magnetic field” is also used to unzip Miss Caruso’s dress (played by Madeline Smith). The James Bond Submariner was so heavily modified for the movie that it doesn’t tell time anymore. The back of the watch, however, was signed by Roger Moore. If the Pearlmaster wasn’t enough diamond for you, you should take a look at the Rolex GMT Master II Ice. It’s entirely covered in precious stones and made from white gold. The dial has an interesting wave pattern of diamonds and gold. It was sold in 2014 for $485,350. The rest of the case hasn’t been compromised by the in-house customisation. You get all the same features and performance than the modern Rolex GMT II delivers, including a waterproof case up to 100 meters (330 feet) and 50-hours of power reserve. The dial featured the classic GMT second hand to set a second time zone. Eric Clapton’s Rolex “Oyster Albino” Cosmograph Daytona is the fifth most expensive Rolex watch ever sold. Photo by Phillips. Eric Clapton’s Daytona, dubbed the Rolex “Oyster Albino” Cosmograph, sold not once but twice for substantial amounts during public auctions. The first time was in 2003 in New York where the watch was bought for $505,000 during an auction organised by Sotheby’s. Twelve years later, in May 2015, Eric Clapton’s Daytona was sold once more but this time for $1.4 million at a Phillips auction in Geneva, nearly three times its previous price. Besides its famous first owner, the Rolex “Oyster Albino” Daytona is special because only four pieces are available with the dial in a single colour. The Daytona dial usually has two colours to make the chronograph totalisers contrast with the rest of the dial. The Rolex Antimagnetique Reference 4113 from 1942 is the fourth most expensive Rolex watch in the world. Photo by Phillips. The 1942 Antimagnetique Reference 4113 is the oldest Rolex on our list after selling for nearly $2.5 million during a Phillips’ auction in Geneva in 2016. It comes in an extraordinarily large case considering its production year, at 44 mm. It is in fact, the largest case ever built by Rolex. Only 12 examples of the Reference 4113 are known to still exist today. The watch was initially produced as a gift to celebrate the victory of a racing team. Interestingly, this particular model had been sold just three years before, in 2013, for $1.16 million at Christie’s. It’s another example of the steep price increase for rare Rolex models. The Rolex Bao Dai is the third most expensive Rolex watch ever sold. Photo by Hodinkee. The Rolex Bao Dai is unquestionably one of the most instantly recognisable models among watch fans. Based on the Rolex reference 6062, this watch was initially sold to the last emperor of the Nguyen dynasty in Vietnam in 1954. At the time, this was the most expensive model in Rolex’s collection. The gold case and black dial were the rarest configurations available. Only three were ever produced, according to Hodinkee. And this piece is the only one of the three to have diamond markers on the even hours. The Rolex Bao Dai was sold for over $5.1 million at auction at Phillips in Geneva in 2017. The watch had already been sold through auction before. 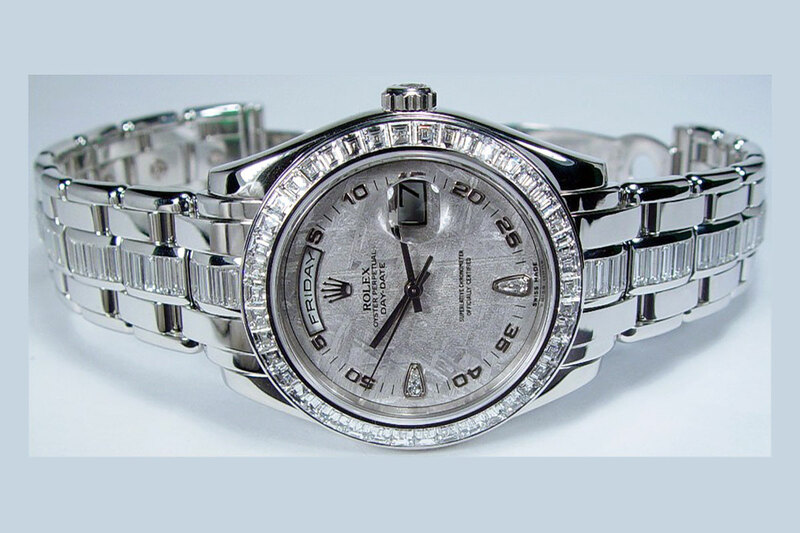 The Nguyen family first sold it for $235,000 in 2002, which was the highest price ever paid for a Rolex at that time. 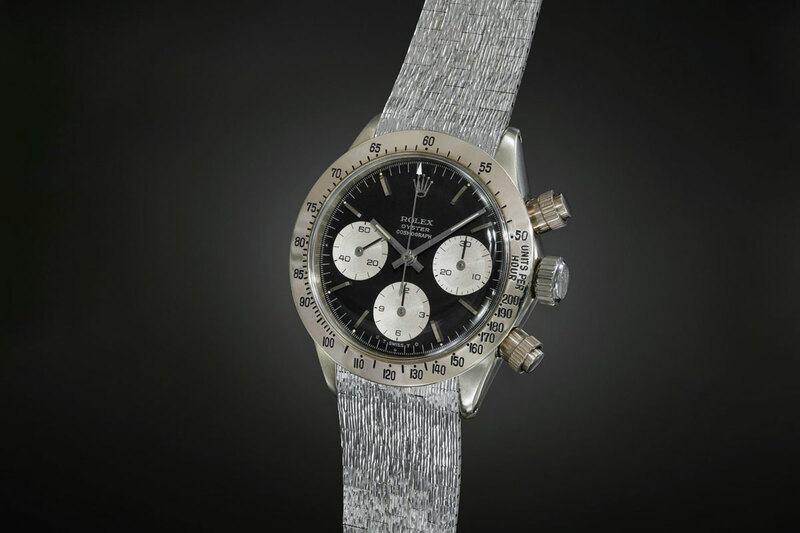 The 1971 Rolex Daytona Reference 626 Unicorn is the second most expensive Rolex. Photo by Phillips. 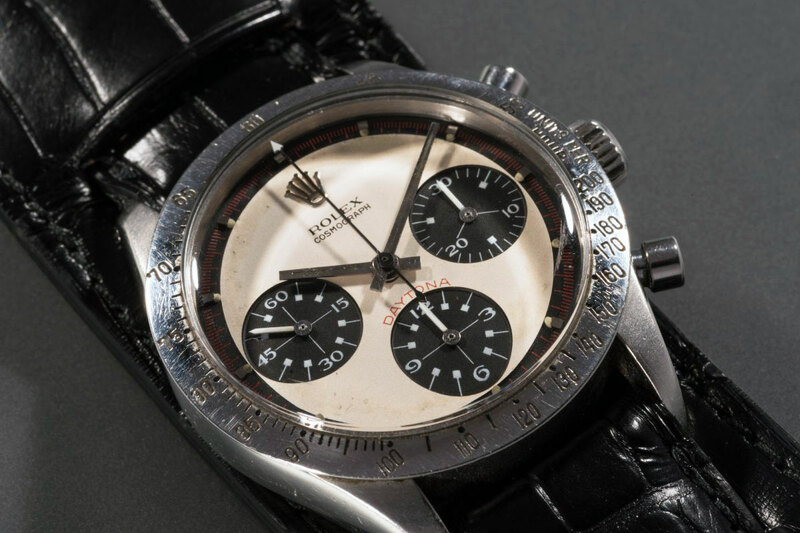 Uniqueness and rarity explain the price of this 1970 Rolex Daytona that was sold for $5.9 million in 2018. The Reference 6265 is the only model available in 18-karat white gold, hence it’s “Unicorn” nickname. 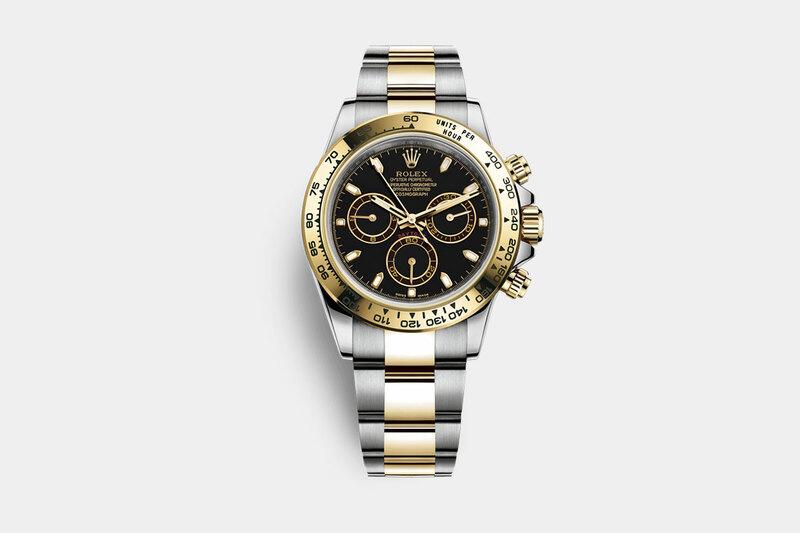 The vast majority of Rolex Daytona produced at the time were in stainless steel. Beside its precious material, the story of the watch is itself interesting. Few people had ever heard of it until it was announced in 2013 that famous Rolex collector John Goldberger had acquired the watch (Auro Montanari of his real name). Paul Newman’s Rolex Daytona is the most expensive Rolex watch ever sold. Photo by Phillips. Paul Newman’s Rolex Daytona is not only the most expensive Rolex ever sold, but it’s also the most expensive watch ever sold in the world. It easily beat the previous record set by a 1943 Patek Philippe perpetual calendar chronograph that sold for $11 million in 2016. The opening bid for Paul Newman’s Daytona started at $1 million but was immediately raised to $10 million by the first bidder, stunning the entire auction room at Phillips. 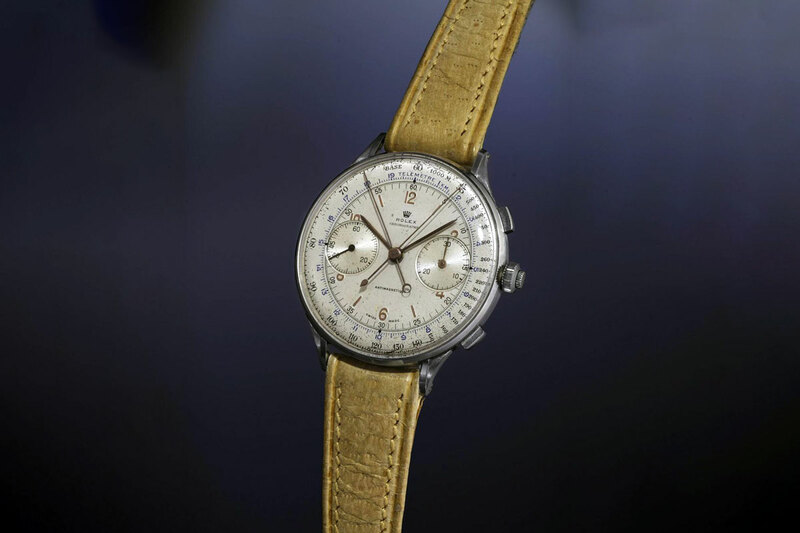 Only two bidders then fought for the watch to finally settle its price at $17.8 million. While relatively well preserved, this Rolex Daytona isn’t particularly rare nor made from precious materials. But its unique story is what watch collectors are most interested in. It was given to Paul Newman by his wife, Joanne Woodward, while he was playing in the movie “Winning”. Why are Rolex watches so valuable? People often wonder why Rolex watches are so expensive. What is so special about the Swiss manufacturer to explain the price of its high-end mechanical watches? 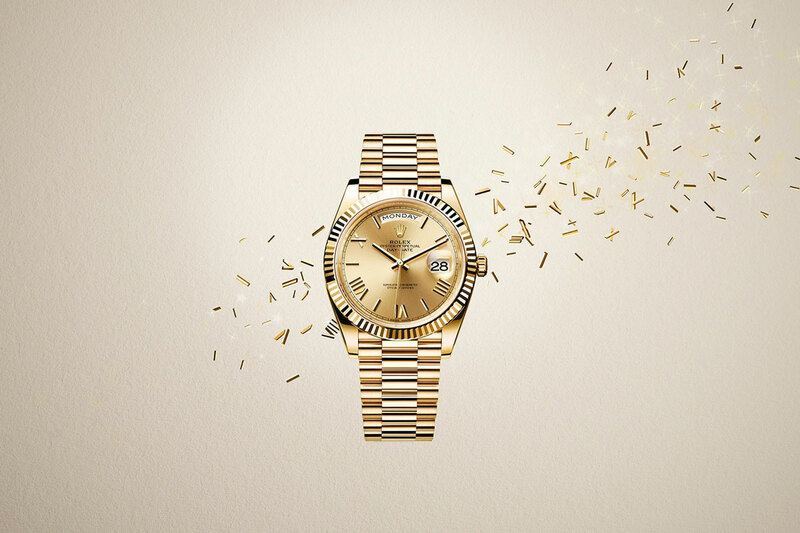 Beyond timekeeping, a Rolex watch is an object of desire and aspiration. 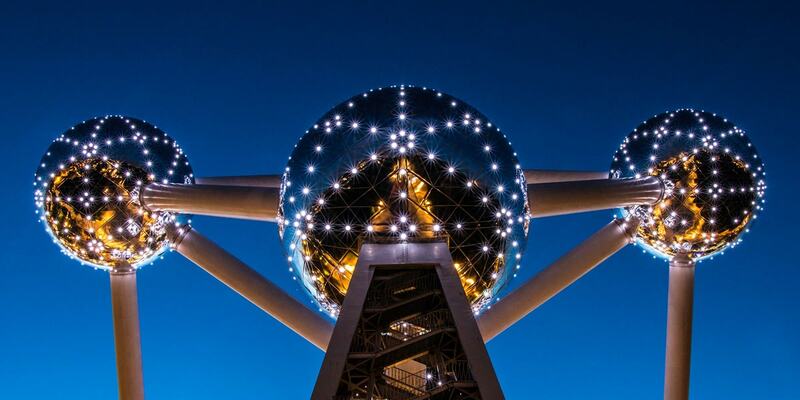 A symbol of achievement and success. A gratifying luxury indulgence. Behind the brand, the Rolex company operates in a very different fashion from most of the other watch manufacturers in the world. 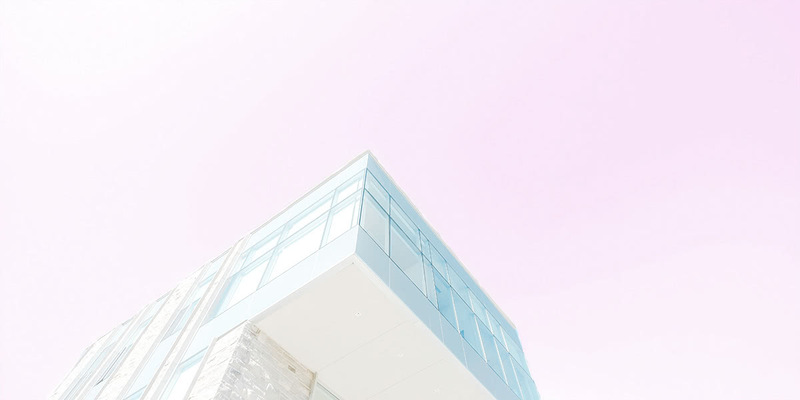 The company is privately held and is set up as a charity. Rolex is currently ranking number five on our list of the most popular luxury brands in the world. So what makes Rolex watches so expensive? In our opinion, it’s a combination of four different factors. Rolex owns several labs at its headquarter offices in Geneva. Their in-house researchers work on new watches, of course, but also on new and more efficient manufacturing techniques. Rolex produces its own steel, gold, and platinum in-house. They developed unique manufacturing processes to create stainless steel watches in 904L steel as it’s more robust and maintains its polish look over time. They also transform raw 24k gold plates into 18k yellow, white, or rose gold materials (called Everose gold). 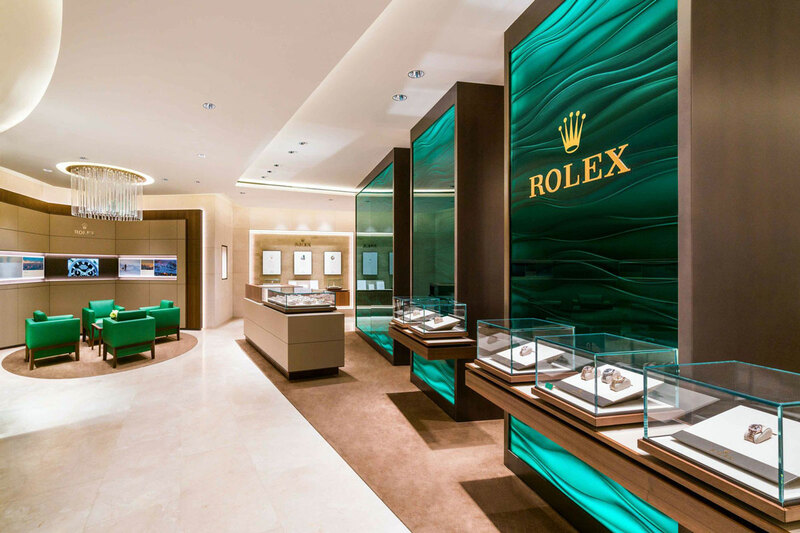 Rolex also has its own gemological department to buy, test, cut, and place diamonds and precious stones on its watches. Each stone is carefully hand-selected and hand-set using the same processes than the world’s most renowned jewellery brands. Rolex has perfected its watch manufacturing process to use both machines and human in the most efficient way possible. Every Rolex movements and bracelets are still assembled by hand, even though robots and machines are used along the way to assist technicians. From the production of raw materials to the assembly and testing, it takes about a year to make a single Rolex watch. Just take the dial creation as an example. After extensive testing, Rolex found that humans were better at positioning markers on a dial than robots. So every dial is still crafted by hand. The finished product is then dropped from 20 cm up in the air to ensure that everything is holding as expected. Considering the fact that Rolex sells about a million watches per year, the time they spend producing each watch is remarkable. The price of some of the most expensive Rolex watches sold over the past five years is incredible. Especially when you consider the price that they were first bought at. Some collectors made it their speciality to invest in rare Rolexes to sell them back with a significant gain a few years later. Most contemporary Rolex models will probably not gain the same value in 50 years but they still maintain excellent resale value. The price of a second-hand Rolex watch with original papers and box is indeed very close to the original selling price. Casual observers might have the impression that the price of Rolex watches has also increased over the past few years. You might have heard that the original Submariners didn’t cost more than $200 in the late 50s. 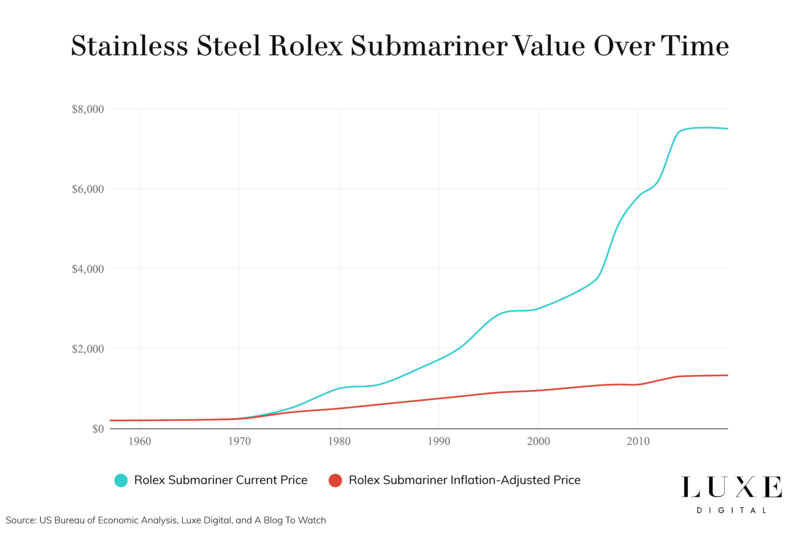 But when taking into account the inflation over the past 60 years, we see that Rolex has maintained the price of its watches fairly stable. Taking the entry model stainless steel Submariner no date as an example, we see indeed that its price has “only” increased 6.65 fold over the entire period. So, should you buy a Rolex as an investment? It depends on your investment goals, experience, and timeframe really. If you want a great watch that will maintain its value, a contemporary Rolex is a great option. As would a Patek Philippe or an Audemars Piguet, for example. If you only want to treat it as an investment, a historical piece will be a better fit but it’s a risky business. You’ll need to be able to distinguish an authentic vintage Rolex from the many fake that are sold online. You’ll also need to have a good sense of what might increase in value over the coming years. And you’ll need to be able to time the resale to maximise your profit. It’s definitely doable if you have those skills but we wouldn’t recommend it to anyone. We used several authoritative sources to help with this ranking of the most expensive Rolex in the world. We recommend that you read them if you want to learn more about Rolex. These are also great resources if you want to understand a particular aspect of watch valuation or want to stay up-to-date with the latest developments in the industry. 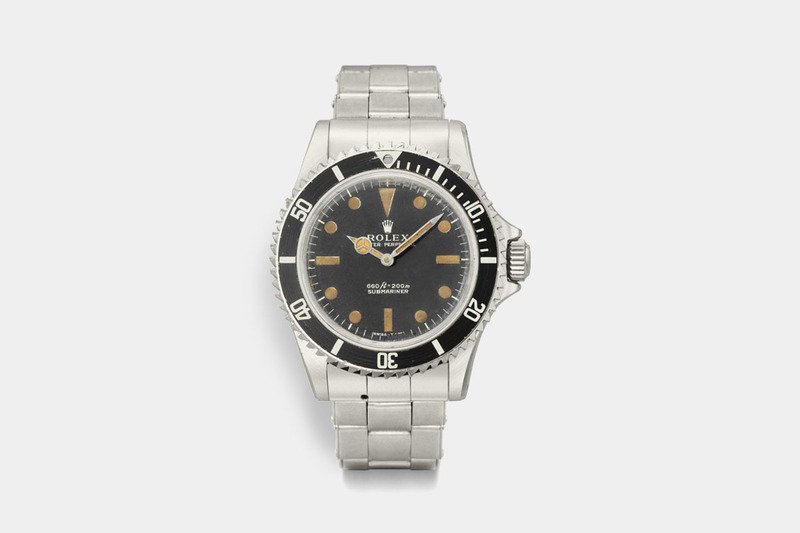 Breaking News Phillips To Auction Steve McQueen’s Rolex Submariner Ref. 5513, by Cara Barrett, Hodinkee, June 4, 2018. Meet the ‘Unicorn’: One of the most expensive Rolex watches in the world, by Erica Wright, CNBC, May 11, 2018. Paul Newman’s Rolex Daytona just became the most expensive watch ever sold at auction, by Russell Sheldrake, Business Insider UK October 27, 2017. 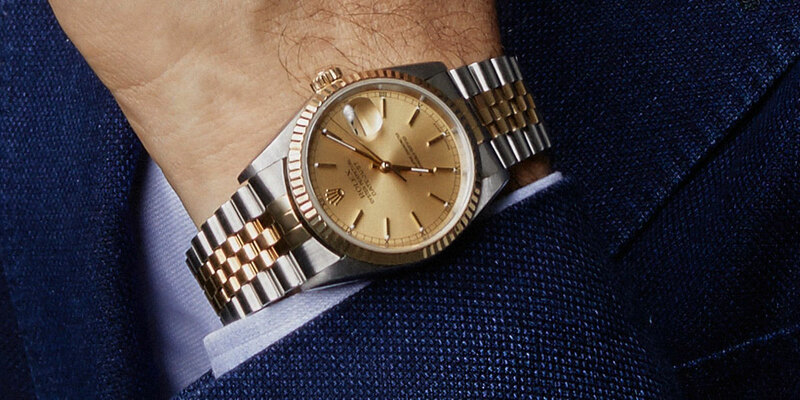 One of the rarest watches in the world just sold for $5 million and became the most expensive Rolex ever, by Dennis Green, Business Insider US May 15, 2017. 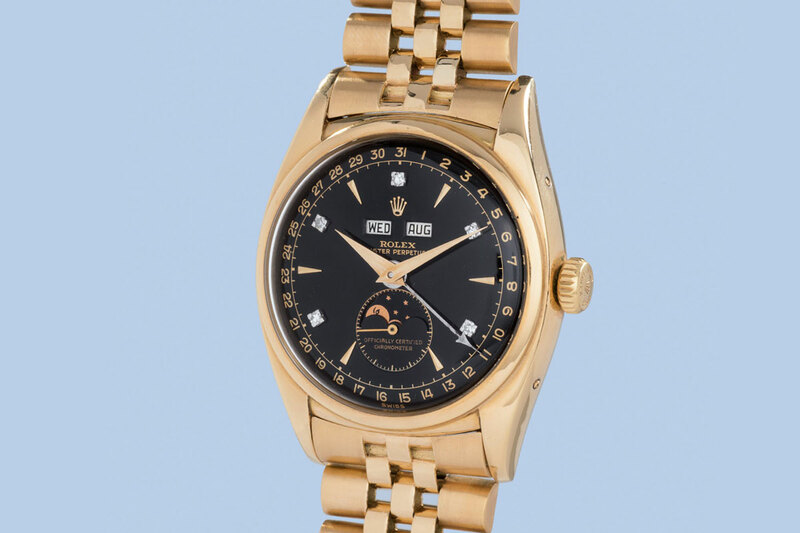 Breaking News Phillips Will Auction What Could Be The Most Expensive Rolex Ever Sold, The ‘Bao Dai’ Rolex Reference 6062, by Louis Westphalen, Hodinkee, March 27, 2017. Steel Rolex From 1942 Sets Auction Record, Sells For Nearly $2.5 Million At Phillips Geneva, by Elizabeth Doerr, Forbes, May 15, 2016. 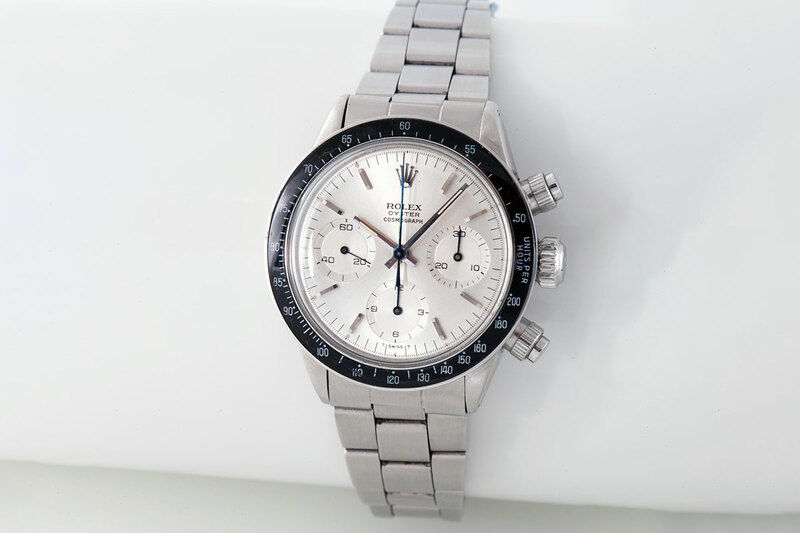 Eric Clapton’s Rare Rolex Cosmograph Daytona 6263 Oyster Albino Goes Up For Auction, by Elizabeth Doerr, Forbes, April 16, 2015. Rolex GMT Master Ice, by Paul Altieri, Bob’s watches, August 19, 2014. Exclusive: The Secret History of Steve McQueen’s Rolex Submariner, by Michael Solomon, Forbes, June 4, 2018. Phillips Withdraws Steve McQueen’s Rolex Submariner From Auction Amid Conflict With The McQueen Estate, by Michael Solomon, Forbes, September 14, 2018. Meet John Goldberger, One of the World’s Most Important (and Elusive) Watch Collectors, by Kathleen Beckett, Robb Report, December 13, 2018. This $11 Million Patek Philippe Timepiece Is the World’s Most Expensive Wristwatch, by Carol Besler, Forbes, November 12, 2016. 10 Things To Know About How Rolex Makes Watches, by Ariel Adams, A Blog To Watch, November 24, 2013. 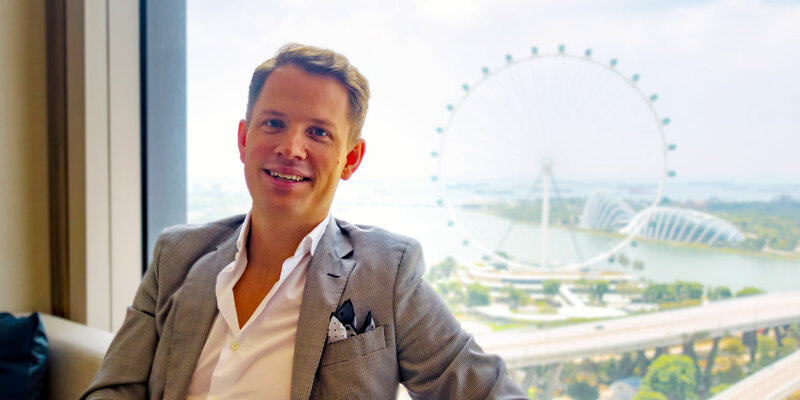 How And Why Rolex Prices Have Increased Over Time, by David Bredan, A Blog To Watch, July 20, 2014.